Healthy Homemade Freezer Breakfast Sandwiches are going to make you VERY happy. 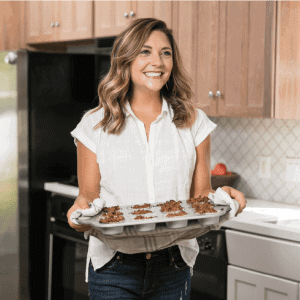 They take a little bit of time to prep, but are easily enjoyed as a nourishing breakfast filled with carbohydrates, protein, fat (and vegetables!) when you start your day. Pin Healthy Homemade Freezer Breakfast Sandwiches here! I was originally introduced to the idea of these breakfast sandwiches in this Busy Girl’s Guide to Happy Eating a few years ago. I made them as part of an e-book review for my internet friend, Shannon and have been making them for Brian’s breakfast ever since! 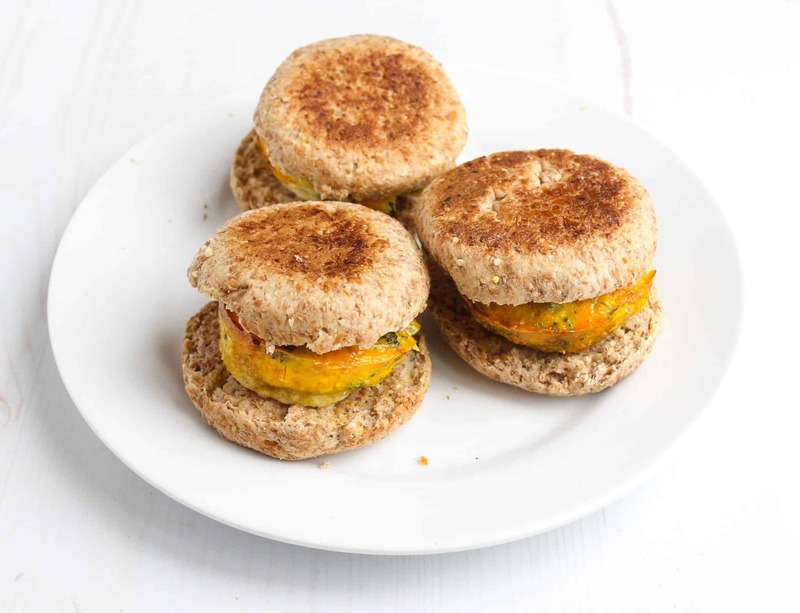 These Healthy Homemade Freezer Breakfast Sandwiches are SO simple (Brian will often make them and he doesn’t enjoy being in the kitchen like I do), include vegetables in the morning meal, whole grains, protein and fat. They are a great breakfast option that will keep you energy sustained throughout the first part of the day. I also LOVE that they are so customizable. 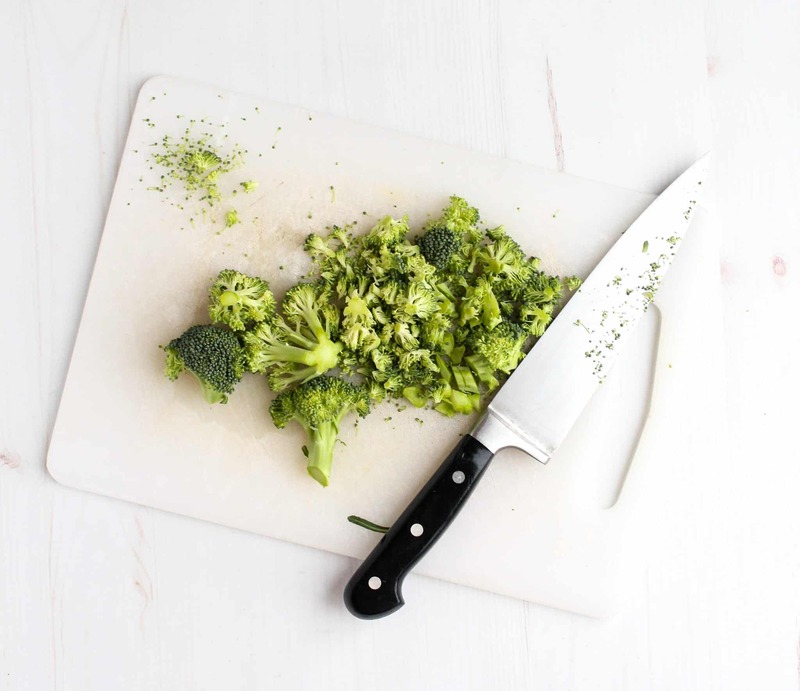 We typically put broccoli or spinach in this recipe, but you could use whatever vegetables you have on hand or that your family enjoys. 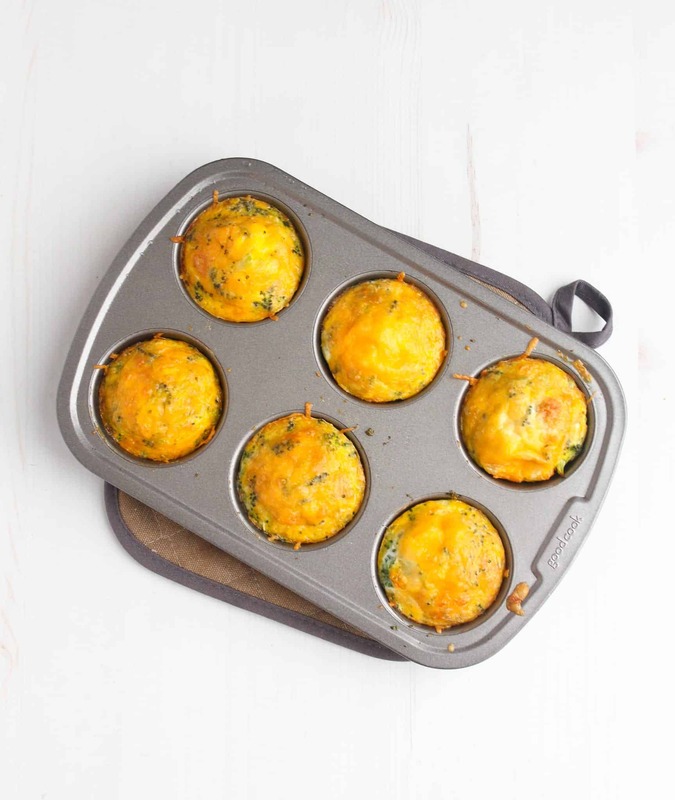 To make this recipe simply combine the eggs, cheese (if using) and broccoli in muffin tins and bake in the oven. 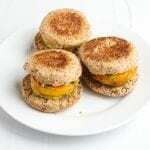 When the eggs are done, place each little cooked egg muffin on an English Muffin and wrap in foil. Enjoy immediately OR store in the freezer. To thaw: pull the sandwich out the night before you want to enjoy it and reheat it in the microwave for about a minute, or completely defrost in the microwave until heated through. I hope you love these simple breakfast sandwiches as much as we do!! Spritz 6 muffin tins with with nonstick cooking spray. Crack each egg into a separate muffin tin. Divide the teaspoon of salt evenly between each egg and gently scramble. 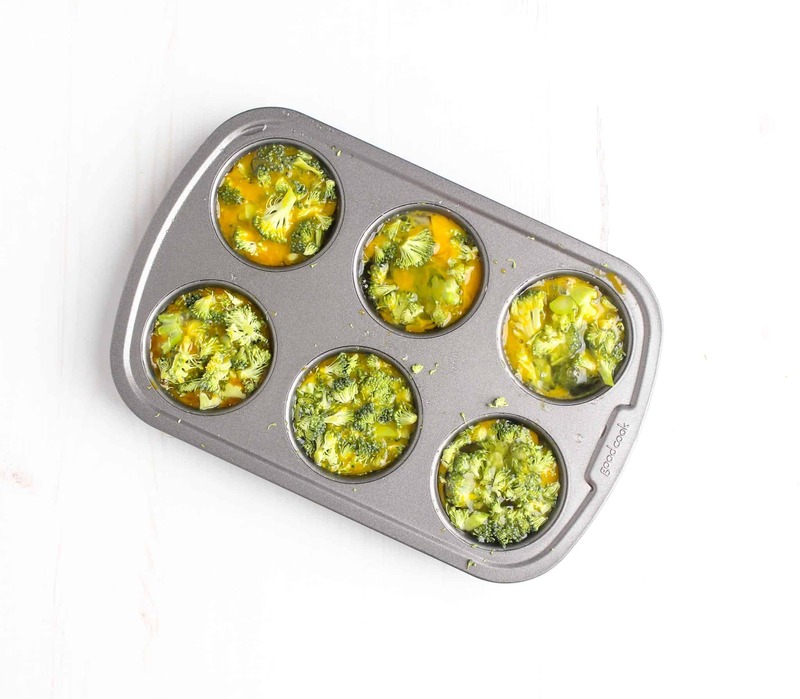 Divide the chopped broccoli between the 6 scrambled eggs and gently stir within the muffin tin. Top each egg and broccoli mixture with with equal amounts of the cheddar cheese if using. 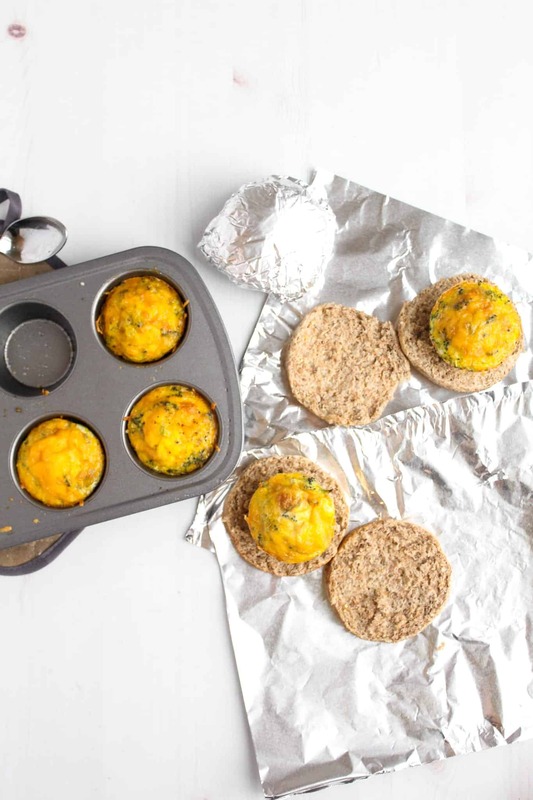 Place the muffin tin in the oven and bake 20-25 minutes or until the eggs are cooked through. Tear 6 pieces of aluminum foil into equal pieces and place an English muffin on top of each foil piece. Once the eggs are cooked, remove them from the muffin tin by using a spoon (be careful because they will be hot!) and place each egg/broccoli muffin on an English muffin and wrap in foil. Store in the freezer and thaw before enjoying. We pull them out the night before and allow to thaw in the fridge, then microwave for about a minute just before we eat. *To make dairy free, omit the cheese and make sure your English muffin doesn’t contain dairy. **To make gluten free, use a gluten free English muffin (my favorite are Food for Life). To make this recipe low FODMAP, just swap out the traditional whole wheat English muffin for a gluten free/low FODMAP English muffin. This recipe has not been tested for FODMAP content, but the ingredients in this recipe have been used in low FODMAP amounts according to the Monash University App.